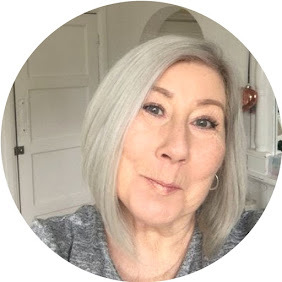 I jumped at the chance to test out this home anti eye wrinkle device from Tria, anything that says it will give an improvement just has to be trialled. The neat little package contained the small hand held device with full instructions on how to use it, precautions etc. You are advised to use it for 2 minutes daily for 8 weeks, one minute on each eye, the laser has a timer so you can't go over time, use in the evenings as part of your skincare routine. I have used this little machine regularly for an 8 week period, although I have not used it religiously and have missed the odd evenings, I have also used the Nourishing Eye Renewal Cream alongside the laser, this cream with it's cooling metal applicator soothes an moisturises the eye area after use. Following the full instructions, there is a video here small circular motions around the under eye area concentrating on the crows feet, there is a very slight tingling sensation, it is NOT painful when using the device and you barely know you are using it, after the two minutes my eye area did feel a little sore, as though it has been sunburned, but bizarrely there was no redness, the sensation really didn't last very long, and was really soothed by the Nourishing Eye Renewal Cream, there was no discomfort at all during the day, literally only for about 30 minutes after treatment. It didn't stop me continuing the treatment as it really wasn't a problem. I am not going into the science behind this little machine as you can get all of the technical details on the Tria website along with details of all the other devices they supply as a company. Much to my surprise, it actually did, within a couple of weeks I could clearly see a difference, more in the deeper lines which seemed softened and far less noticeable, also they actually looked shorter in length ! bizarre I know. Obviously I am not saying this will work for everyone, if you have incredibly sensitive skin, maybe not, but the beauty of this device is that you have a 90 day money back guarantee from the company, which really proves the confidence they have in their products. Have you tried anything like this, or had salon treatments ? do please let me know as this is my first time trying anything like this and would love to know your thoughts.